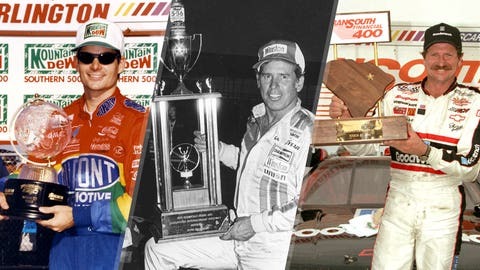 The egg-shaped 1.33-mile Darlington Raceway oval is one of the toughest tracks in all of NASCAR, so much so that only 13 drivers have won three or more Sprint Cup races at the track 'Too Tough To Tame.' Following are all 13. 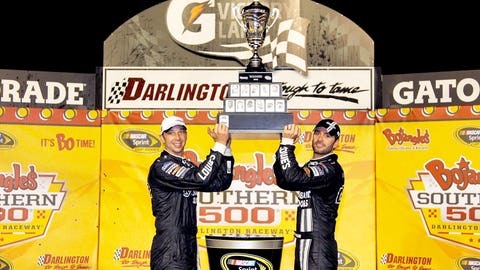 The six-time NASCAR Sprint Cup Series champion swept both events at Darlington Raceway in 2004, but he’s only won there once since then, that one coming in 2012. Want to know just how difficult a track Darlington Raceway really is? Richard Petty, the seven-time NASCAR Premier Series champion, made a record 65 starts there but was only able to win three races. 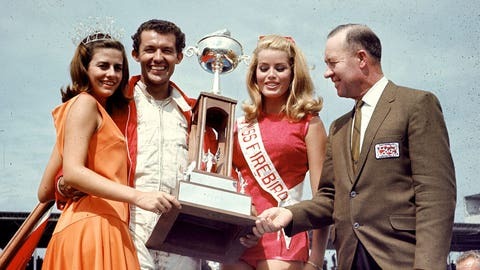 He swept in 1967, the year he won a record 27 races. 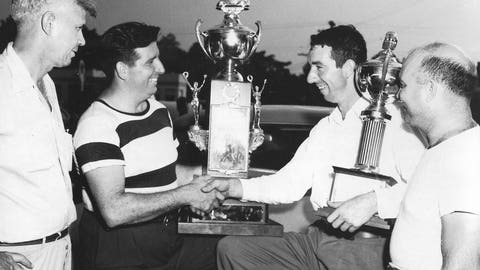 Baker won the 1953 Southern 500 in an Oldsmobile, the ’60 Southern 500 in a Pontiac, and the ’64 Southern 500 in a Dodge. 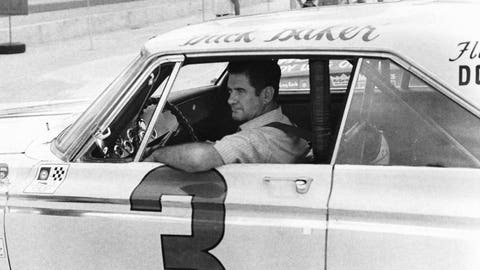 His stellar career landed him in the NASCAR Hall of Fame. The NASCAR Hall of Fame driver won three of the first six Southern 500s, two with The Fabulous Hudson Hornet, and the last one in a 1955 Chevrolet with the then-all-new small-block V-8 engine. Thomas won the 1955 race without ever changing tires on his Smokey Yunick-prepared Chevy. 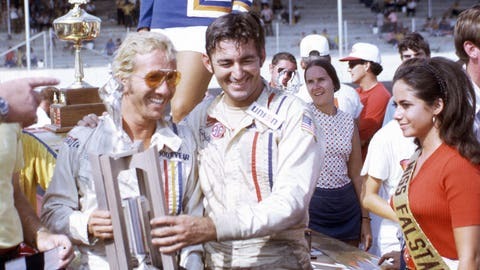 The only driver among the 13 on this list who isn’t already in the NASCAR Hall of Fame or is still active, 'Handsome Harry' Gant won the Southern 500 twice and the spring Darlington race twice. In 1965, a young Yarborough had a horrifying crash at Darlington when his car flew over a wall and landed outside the track. He recovered to win five races at his home track, where he was almost always a threat to win. 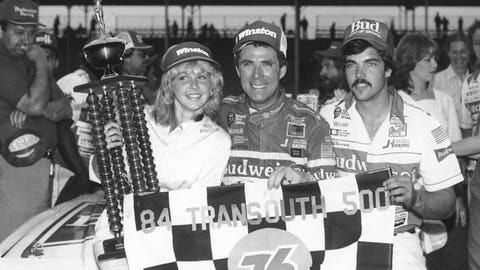 A three-time NASCAR Sprint Cup Series champion, Waltrip won his first Darlington race in April 1977 and his last in September 1992. 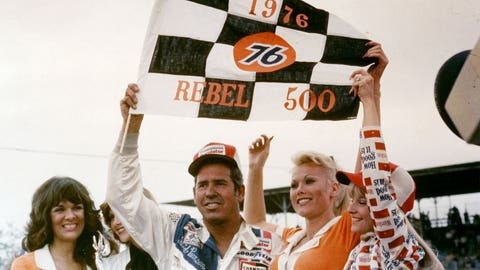 The most bizarre Darlington stat might be Allison’s performance at 'The Lady In Black' in 1975. That year, Allison swept both races driving one of Roger Penske’s ungainly AMC Matadors. 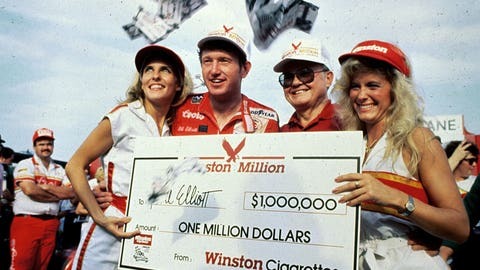 The biggest of Elliott’s Darlington triumphs came in 1985, when he held off Cale Yarborough to win the 'Winston Million,' for winning the Daytona 500, the Winston 500 at Talladega Superspeedway and the Southern 500. 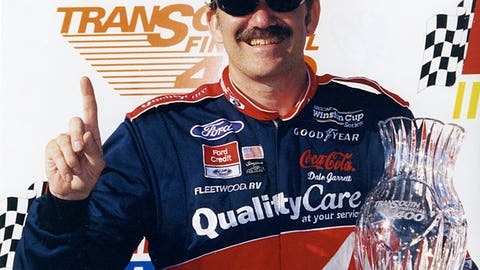 There was time when Gordon was virtually unstoppable at Darlington, where he won five of seven races, including a record four consecutive Southern 500s, from 1995-98. 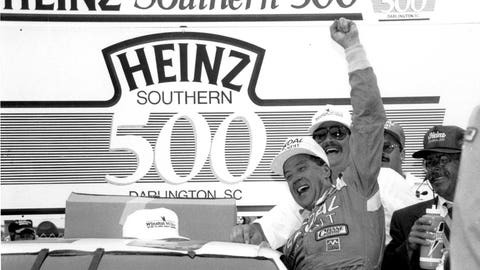 Among his nine NASCAR Sprint Cup Series race victories at Darlington, Earnhardt swept both races in 1987 and '90. Not coincidentally, he won two of his record-tying seven Cup championships in those seasons. 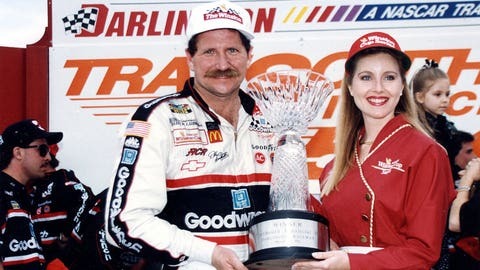 Earnhardt is also the all-time Darlington lap leader. 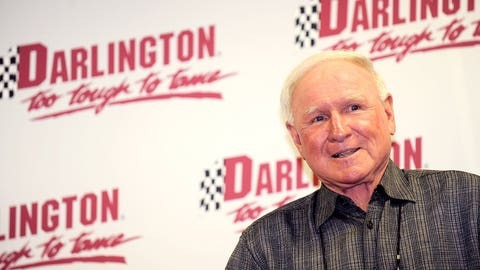 A South Carolina native, Pearson had a driving style that suited Darlington perfectly. At a time when other drivers would get impatient and use their cars up, Pearson would lay back early and charge hard late. 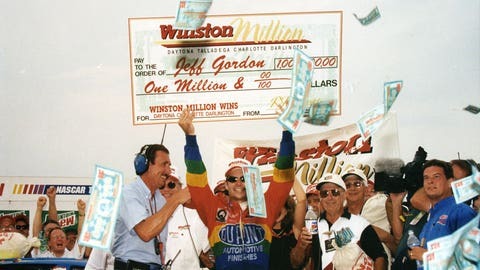 He also holds the record for poles at Darlington, with 12.